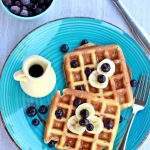 The classic American breakfast is something we make at our house for a weekend brunch. 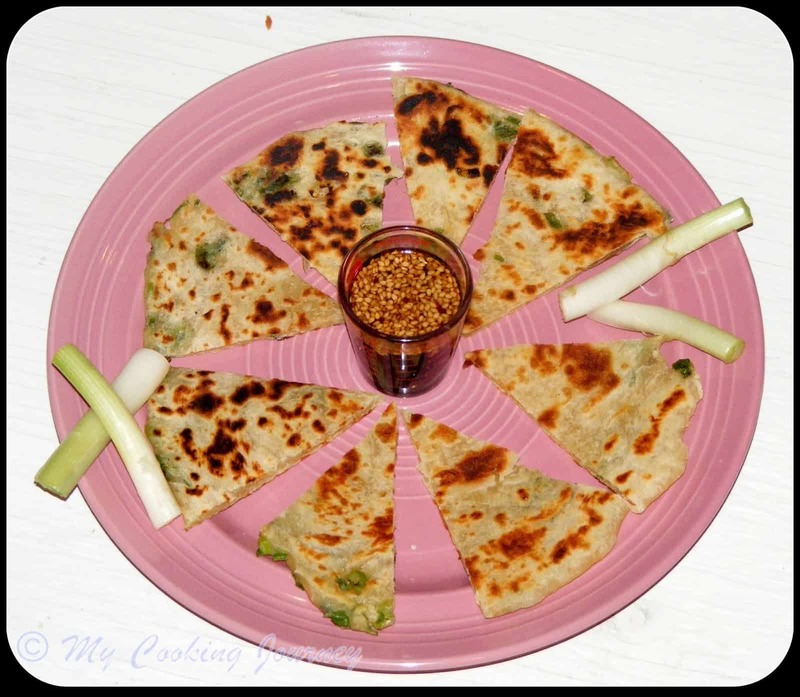 When BM 31 had a theme with Non Indian breakfast, this was the first thing that came to my mind. 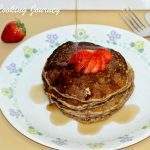 I usually just whip up pancakes from the boxed pancake mix, but realized few days back that a basic pancake batter is very easy to make and does not need too many fancy ingredients. When we were eating this breakfast it reminded us of our family vacations. This is generally what we eat when we eat breakfast out (which happens only during vacations). 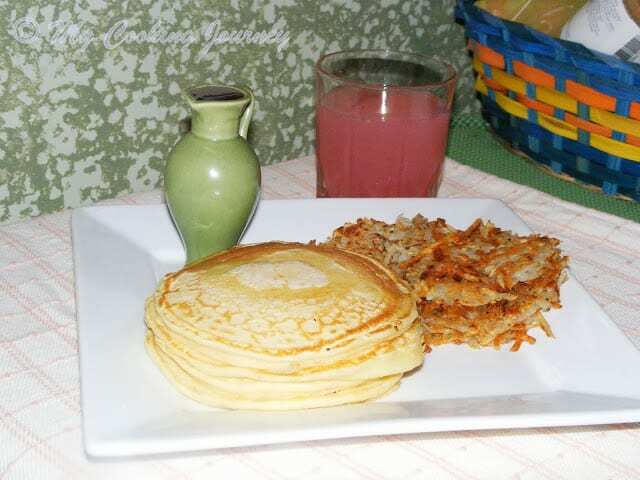 The recipe I have here for the pancakes and hash brown is very basic recipe. One could always add ingredients to make it to their liking. It is a pretty filling breakfast, so if you are in for a long morning this should keep you filled up for quite a while. 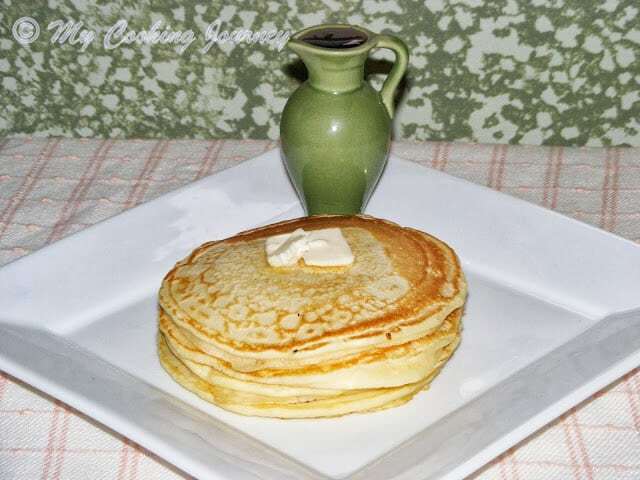 Pancakes are named aptly so because they are cakes that are baked/cooked on stove top. The batter is made of all purpose flour with some eggs and milk and when it hits the hot pan, it puffs up and forms a cake like texture. We like our pancakes topped with some butter and drenched in maple syrup. When my kids and husband eat out in place like IHOP, they love the different syrups that they serve there. Mix the dry ingredients in a bowl and make a well in the center. 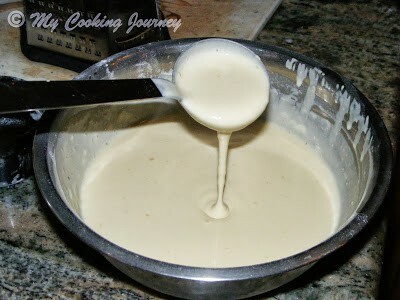 Add all the wet ingredients and mix well to form a smooth batter. In the meantime heat a griddle or cast iron pan. 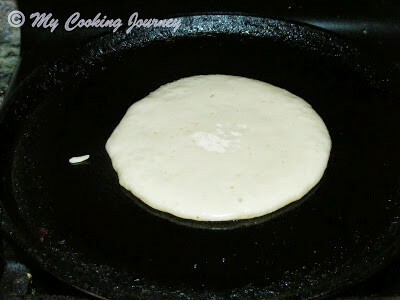 Spray some non stick spray or apply some butter on the pan and then pour a ladleful of batter in the pan. When you see bubbles on top, it’s time to flip the pancake. On medium heat, it takes only about 30 sec/side to cook. Remove when cooked and keep it warm. 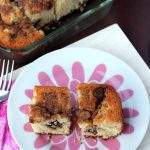 Serve warm with some butter and lots of maple syrup (try to use the pure maple syrup if you can). Who does not like potatoes? 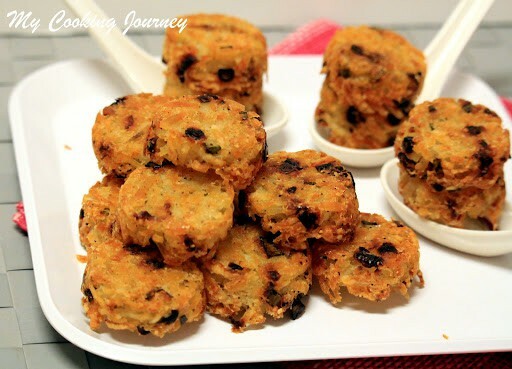 Hash brown was one of the first things that I fell in love with when I came to US. 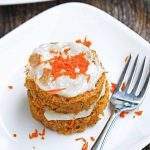 This is a perfect recipe that makes you wonder how can something made with just 3 ingredients (OK, 4 if you add the oil) be so delicious. 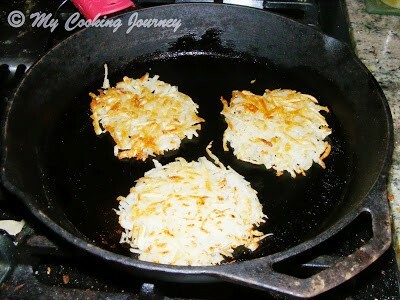 The key to making crispy on the outside, soft in the inside hash browns would be to start with completely dry potatoes. 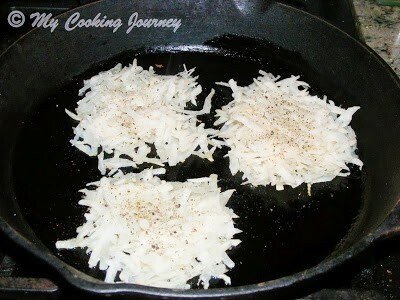 Like I already mentioned this is a basic recipe for a hash brown. 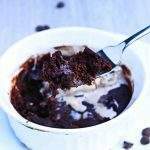 You could always add flavoring of your choice to enhance the recipe. 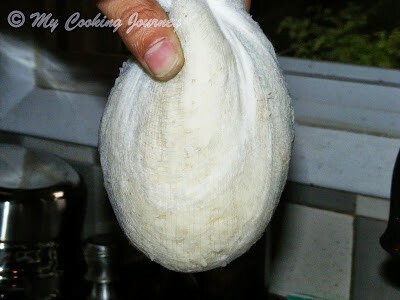 When making this, I always make a little extra for me to eat with thayir saadham (curd rice). Scrape the skin from the potatoes and shred it using a box shredder. Use the large blade to shred the potatoes. 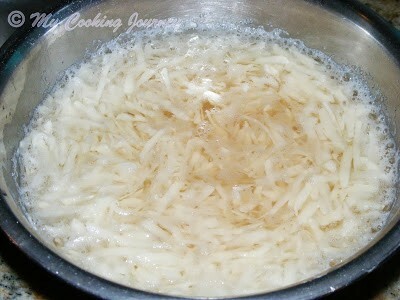 Now rinse the shredded potatoes well under cold water at least 2 or 3 times to get rid of all the starch. Dry the potatoes really well. 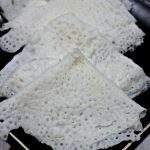 I used cheesecloth to wring out all the moisture from the potatoes and then used paper towels to take out the remaining moisture. When the potatoes are drying up, heat a large cast iron pan. Add about 2 tbsp of oil and then drop a ladle full of potatoes on the pan. Add salt and pepper in the potatoes and let it cook undisturbed for about 3 minutes (in medium heat). You could use a flat spatula to press on the potatoes to help form a tight cake. Carefully flip the potatoes and let it cook on the other side. Remove and serve hot with ketchup! Hashbrowns are my fav breakfast. The american breakfast plate looks yummmm! 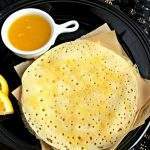 Love everything on the plate..when you realise that pancakes are nothing but our maida dosa, we feel so bad right..:)..I love hashbrowns as well..though I love both, unfortunately no takers at home..looks so good..
two in one!!!! both are delicious… perfectly made!! Authentic American breakfast. Well done! Fantastic platter…and those hash browns are a killer. .love them to the core . They look perfect. Your plate looks so inviting. Wonderful non Indian breakfast combo!! Looks like a delicious combo.. 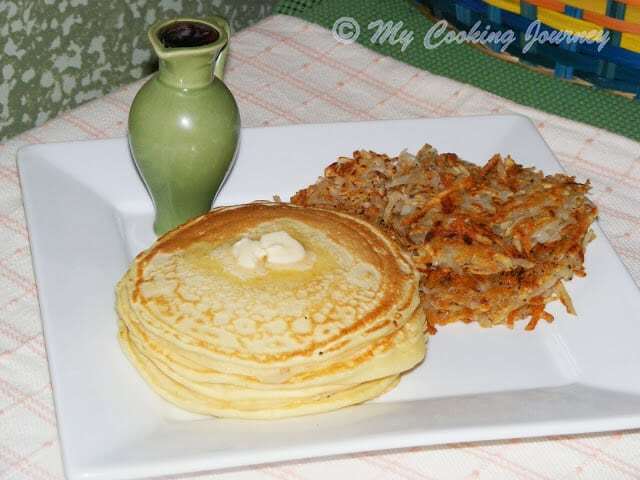 Wonderful platter, hash browns are my favourite, love it to the core..Super filling breakfast. Love that small jug for the syrup. Where did you get it? 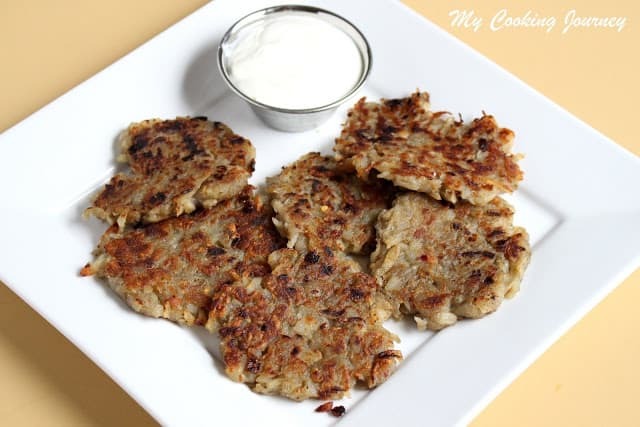 Though i havent tried ameican pancakes.. i have tried the indian version of it.. hashbrowns that is something new to me….perfectly done.. 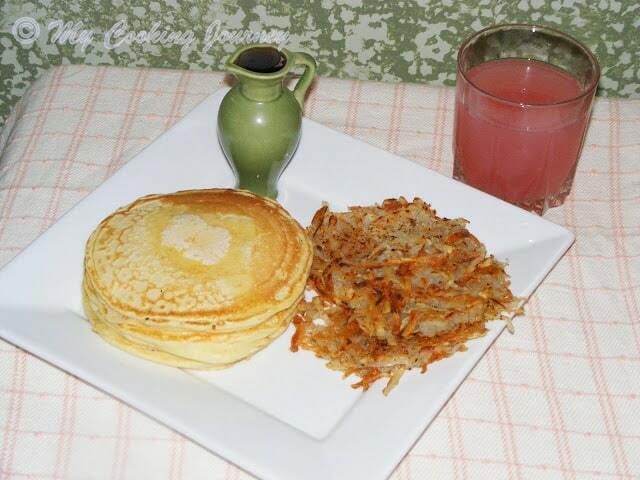 This is our breakfast most of the days…though I use frozen hash browns…need to try your recipe for making it fresh. Awesome! 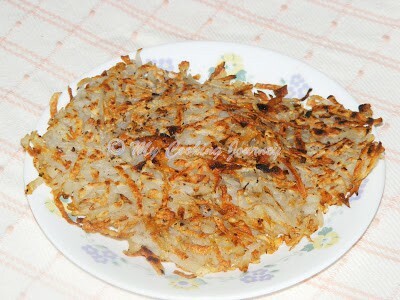 These hashbrowns look so good. Very tempting platter.